As per the reports, the owner of NDTV Prannoy Roy and Radhika Roy will hold around 20 percent in NDTV while Ajay Singh will hold around 40 percent share in the company. "With reference to your letter seeking clarification on the news item appearing on www.moneycontrol.com, we wish to inform you that the promoters of the Company have not entered into any agreement for sale of their stake in the Company to any person", NDTV said in a clarification to the stock exchanges. A report in The Indian Express, earlier in the morning came as a huge update, which suggested Ajay Singh of Spicejet buying a majority stake in the news channel and looking to take over as the next chief. On June 5 2017, the CBI had raided Roy couple's residence and office in connection with alleged non-payment of bank loan. NDTV held the move as a "blatant attack on the freedom of the press" and claimed that the CBI had gone ahead with its investigation on a "shoddy complaint" by a "disgruntled" former NDTV consultant. Ajay Singh was one of the core advertising/campaigning team of the Bharatiya Janata Party (BJP) 2014 election campaign. Ajay Singh, the turnaround man who saved SpiceJet, is in the news for his rumoured takeover of NDTV. 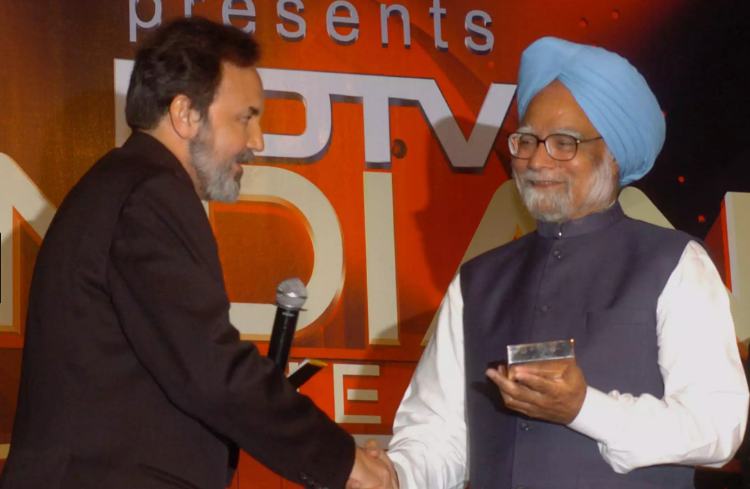 "Singh will take control of NDTV along with editorial rights", a source told Indian Express. The total deal is being valued at around Rs 600 crore. However, when the IE approached Spicejet, its officials denied this development saying,"it's absolutely false and baseless". In May 2015, SpiceJet posted its first net profit - of Rs 22.51 crore - in eight quarters. Ajay Singh, born and brought up in Delhi's Maharani Bagh, is an accomplished businessman and a first-generation entrepreneur credited for turning around the fortunes of low cost airline SpiceJet, an airline he founded before selling off his majority stakes in 2005. In 1996, he was asked to serve on the Board of Delhi Transport Corporation and prepare a plan to revamp DTC.